Boasting four big tracks (and a normal-sized one, "Evacuate! ", popping in after the opener of "Mercenary Blues"), the sophomore album from London's trio of Slabdragger comes six years after their debut with the Regress LP, and as they mention in their album notes, it's been a rough time getting it here, but the results do a good job of arguing for the worth of the wait. Quickly revving up to speed after a few lone notes to test the waters, the album lives up to the band's name by delivering chunky slabs of heaviness, grimy grooves, and dirty vocals dueling with the weighted bash of the drums. Big as the tracks are, they manage to keep their momentum rolling along at impressive speeds, and work with some inventive structuring along the way. Spinning off into tangents, welding in bursts of Lightning Bolt-like noise assaults, navigating jags of vicious shredding, and putting in thorough worship of their riffs, the group fuses stoner metal, doom, and sludge with just a dash of black metal for a potent cocktail of destructive forces. Though it could have been the habanero salsa I was snacking on while listening to the album (trying to find something to eat with as much power to it as what my ears were ingesting), the music had me breaking out in sweats by the time of the title track, and primed for a big finish as "Implosion Rites" dropped into place for the finale. I was not disappointed, either, as it took their massive riffage to the logical progression of a monster one, circling through its own tracks and casting off reverb and extra notes like the rattling stomp it represented. And still more came. 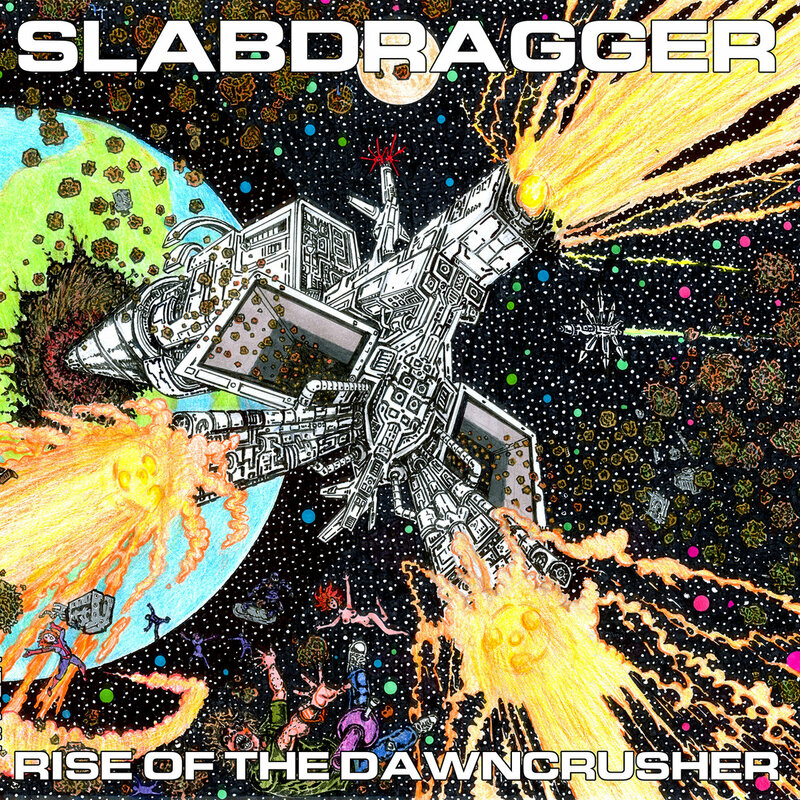 So yeah, it's a hell of an experience, and it makes clear that Slabdragger put the time developing the album to damn good use. By the time you read this, the last of the vinyl copies will likely be sold out, so if that's your format of choice, join me in hoping that a second pressing is on the way (maybe with some multi-national/continental distributors savvy enough to pick it up). But be sure to check this one out if you're a fan of mad heavy music and mighty riffs; luckily, you can stream the whole thing on the group's BandCamp until you're convinced you need a copy of your own. Avid consumers of vinyl, whiskey & all the best stoner, doom, psych, desert, space & southern rock, old & new. We do our best to support all the small, up & coming bands and independent record labels that really keep the stoner scene alive. Hit up our Contact/Follow page to drop us an email & find more links & info. Twice a year we gather up all the things we've been sent and hold raffle. All you need to do to win lovely selection of goodies is to simply pay for one or more of our Bandcamp compilations! Follow the links above, pick up the download and we'll drop you a line if you're a winner. Pay for all the compilations and you'll get 15 chances to win!